Finding Bridesmaid dresses can be just as stressful as finding your wedding dress. 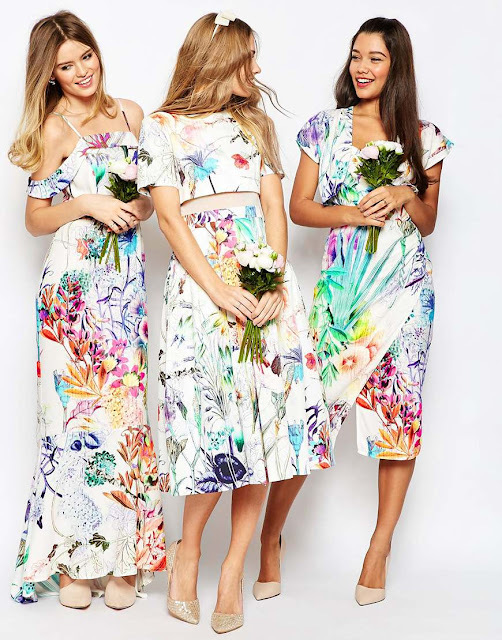 If you read my post on Wedding planning, you'll know that I'm letting my four bridesmaids choose their own dresses - I want them to feel comfortable on the day and have the opportunity to wear something they really like. Step up ASOS. 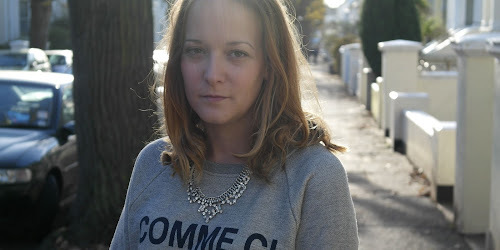 One of my go-to online brands for when I'm in need of an outfit. They have so many brands to choose from, as well as their own created by their in-house team. 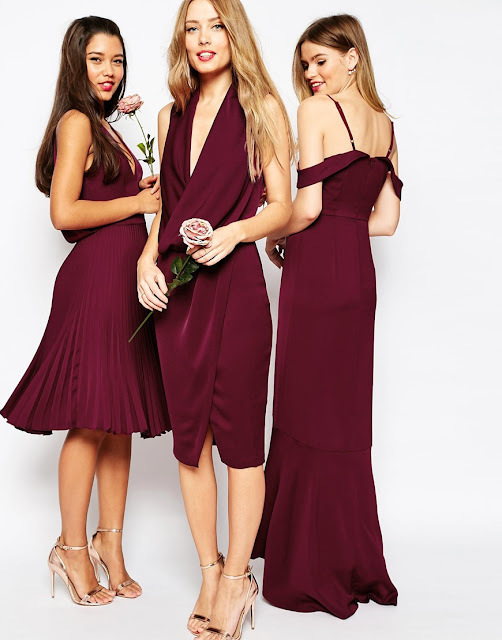 Last year, they launched their own ASOS Bridesmaid Dress collection full of styles to suit varying body shapes, with different styles in the same prints and colours. The dresses are gorgeous, and there's no taffeta or satin in sight! Prices start at around £35 which, is a total bargain in my eyes. Plus, they are totally wearable for after the wedding as well. A big HEL-LO from a somewhat sunny and warm New York! After landing yesterday evening and checking in to my lovely, and brand spanking new hotel, I am ready to face my first day in the city for some very girly fun. That's an entirely different blog post though! We all want to walk off the plane after a long-haul flight with a fresh, glowy face. I don't fly that often - to be honest, I didn't even set foot on a plane in 2015. But I've found in the past that my skin is all sorts of messed up after flying. I break out, my skin is drier than a desert and it just looks...dull. So whilst packing for my trip, I decided that I would dedicate the clear plastic bag you're handed at the airport, to some of my skincare and give myself a long-haul facial. I try not to wear too much makeup when travelling, as the air is so different and can have an affect on your skin. So once I was settled and strapped in, out came the Bioderma Sensibo H20 Solution and off came my makeup. This leaves your skin feeling refreshed for the journey ahead. Something I read a lot about, and I've experienced is dry skin from the air in the cabin. Lisa Eldridge recommends applying a hydrating mask throughout your flight to help keep your skin hydrated and looking perky. I'm not really sure why it's taken me this long to realise that applying one of these when you fly is the best travel beauty tip ever! 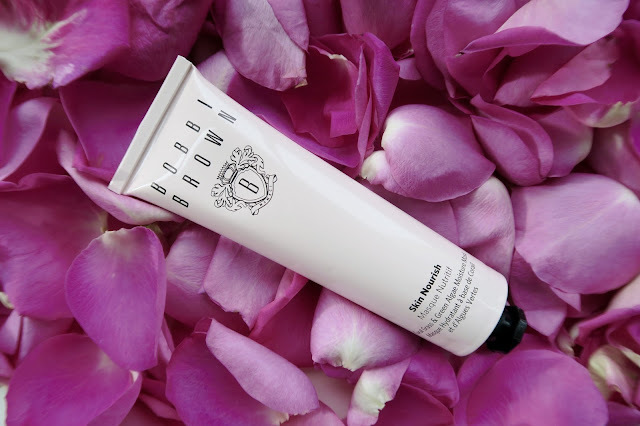 I took along my mini Bobbi Brown Skin Nourish mask and reapplied it a couple of times throughout the flight. FYI - the mask is clear, so I didn't scare anyone. My skin lapped it up and so far, my face isn't suffering from dryness from the flight. Bonus! Also, try to drink plenty of water in the run up and during your journey - this will help as well. Then, I just hit the recline button on my seat, and settled in to watch some films, talk plans with my travel companion and eat airplane food which I secretly love. I think it's the OCD in me - having everything in their own sections really pleases me! I didn't pack too much makeup in my carry-on, and as we landed yesterday evening we went straight to our hotel to get our heads down. However I did use these face wipes by Yes to. They're soothing and perfect for sensitive skin. I then applied a dab of Elemis Pro-Radiance Illuminating Flash Balm a little bit of my Charlotte Tilbury Miracle Eye Wand, a swipe of blusher and my Clarins Instant Light Natural Lip Perfector. Now, I won't go anywhere without my magic spot cream, Effaclar A.I. God knows how the team at La-Roche-Posay did it but, they deserve all the high fives. I've mentioned this before but, I can't preach enough about this product! Another product that is always in my bag is a EOS Lipbalm. I will be picking up several of these over here as they are so much cheaper. I love the vanilla mint one as it's so refreshing. Hand cream. Honestly, I just grabbed the first tube in my drawer but, you don't want anything to be overbearing in smell - respect the other passengers! Right, it's time for a bit of blog silence. Adventures in NYC await and I have a girly day out with the bride to be before the wedding tomorrow! Don't fret, I'm not going too silent - make sure you're following me on Instagram as there will of course be photos of our adventures on there, and I'll be featuring my trip on here when I'm back. I'm currently typing this whilst I wait for my taxi to take me to the airport, as today is the day that I hop across the pond and have a little adventure in NYC. Thank you to those that have sent me recommendations. I have these written down on my phone, along with all the bits I've reasearched. I thought I'd show you what tends to go in my carry-on. I am that person who thinks I'm going to end up loosing my suitcase on the other side of my journey, so I do pack a pair of pants, toothbrush and a few other bits just in case. 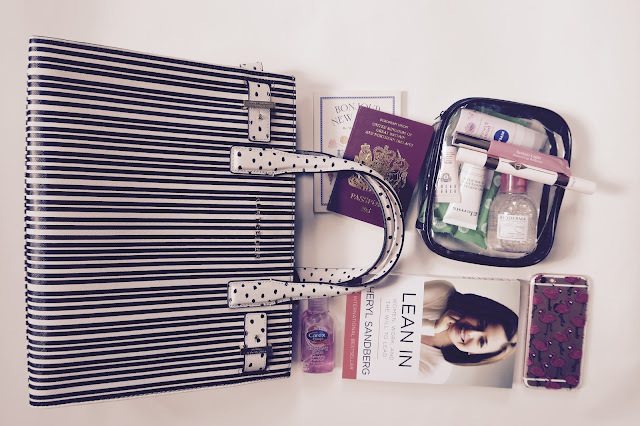 I travel a fair bit with work so personally, I think I have packing for a trip down to a tee..
Bag-wise I reckon it’s always best to pack everything into a handbag that you’re planning on using when you’re away. I do try not to overload my handbag, as I also have a cabin-size suitcase travelling with me. This Saffiano London tote is by Kurt Geiger and is a total dream - big enough for what I need to put inside and lightweight for carrying around. The boring grown-up items - Tickets, purse, currency, phone and passport are what I consider the most important items in my bag. They may be boring but if I want to get on the plane, I need these. The Reading Material – I always like to have something to read when travelling, just in case the inflight entertainment isn't any good, or I need to save the battery on my iPhone. I'm currently reading Lean In by Sheryl Sandberg which, is a really interesting read. I also try and take my laptop with me just in case I fancy smashing out a few blog posts. Dr Laura - I tend to take too many products with me in my carry-on but I relax a lot better if I have some Ibruprofen, anti-bac gel, some tissues and handcream packed. 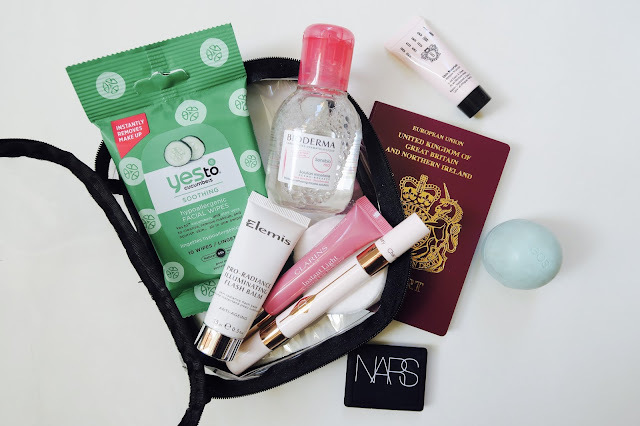 Beauty-wise, as it's a long haul flight this time around, I'll be packing some skincare essentials in miniature form because although I couldn't give a crap about what I look like when I'm fretting that my suitcase won't be at baggage reclaim, I do want my skin to behave itself. More on that in tomorrow's post. See? It’s not too bulky. All the essentials with a few extras, you know – just incase. This week is pretty exciting, as I’m finally heading off on my NYC adventure! 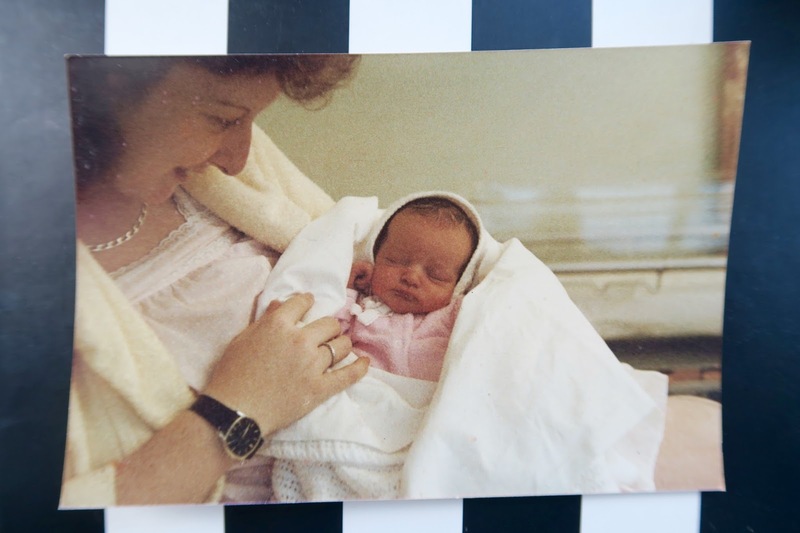 I’ve got a lot planned for the five days I’m there and can’t wait to share it all with you when I’m back. 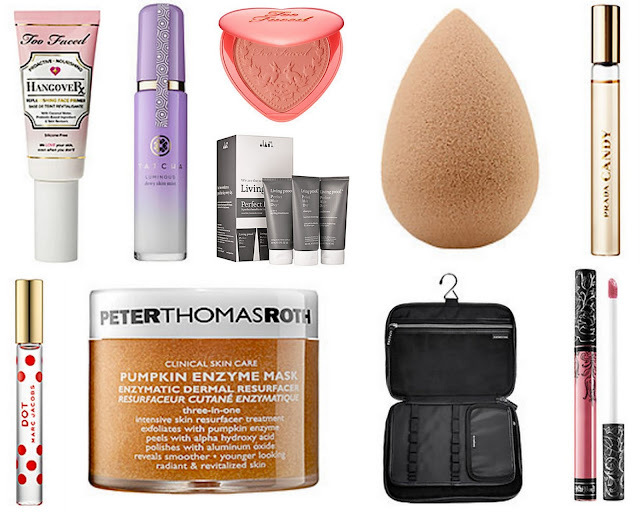 Being the beauty obsessed person I am nowadays, it would be rude not to have some sort of wish list for Sephora - I’ve even set a side my ‘Sephora budget’ especially! Above are a few products I have my eyes on. I kind of have an idea in mind on what I want to purchase, but at the same time I want to go in without too much of a plan and see what I like the look and sound of. Keep your eyes peeled on here as I’ll definitely be doing a haul when I’m back! Used Bookstore Café – 111 Boulevard Beaumarchais. This café is located in one of my favourite stores, Merci. 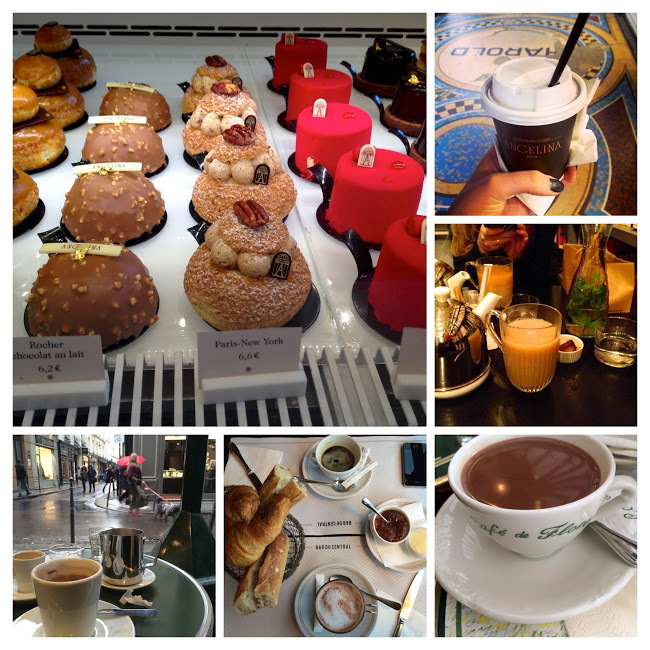 Go there for boiled eggs and soldiers in the morning, or head there to rest your feet after a morning walking around the Marais for a fresh mint tea or hot chocolate. Café de Flore - 172 Bld Saint-Germain. Perfect for people watching over breakfast, this place is an institution in Paris. If you're very hungry, and feeling naughty I recommend the Jockey au Chester. If you can eat all of it, you deserve a high five! Angelina - 226 Rue de Rivoli. Yes it’s a complete tourist trap, but their hot chocolate and cakes totally make up for that. If the weather is nice, get your hot chocolate to go and walk over the road to Jardin de Tuileries for a little walk. Bar du Central - 99 Rue Saint-Dominique. This place is open all day, every day. The food is good, the cocktails are even better, and it's full of locals which, I always see as a good sign. Chez Janou – 2 Rue Roger Verlomme. With the waiting staff being very friendly (a rarity in Paris) and the steaks being the size of my face this place is one of my favourite restaurants in the city. I always recommend this restaurant to friends who are visiting the city. Please make sure you order the chocolate mousse, it comes in a catering sized bowl for you to help yourself - so good. Semilla - 54 Rue de Seine. Located in the Saint-Germain district, Semilla is perfect if you're after a chilled lunch, delicious food at great prices. The staff will recommend dishes for you, and are very approachable and eager to assist you with any questions. Chez Georges - 1 Rue du Mail. As French as you get. This small restaurant has handwritten menus that look as though they were written many years ago. The waitresses are quite possibly as old as the restaurant and don't speak English. Don't let this put you off. The food is simple yet possibly the best I've ever eaten in France. Derriére – 69 Rue des Gravilliers. This place is great for brunch & dinner. It reminds me a little of Alice in Wonderland - think huge sofas, secret rooms through wardrobes and a table tennis table in the middle of the restaurant. 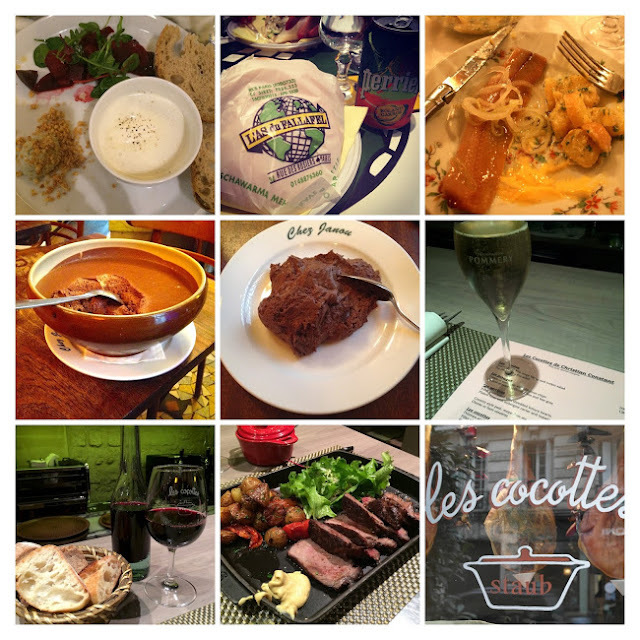 The food is good too, and location wise it's great if you're looking to hang out in the Marais district. Chez L'Ami Jean - 27 Rue Malar. L'as du Fallafel - 32-34 Rue des Rosiers. This may be a bit of a tourist trap but you can't beat their fallafel. I recommend grabbing a seat inside instead of queuing on the street. The service is speedy, the portions are huge making it great fuel for your walk around the city. Merci - 111 Boulevard Beaumarchais. A gorgeous concept store, full of great French fashion brands, homeware and other bits and pieces. Colette - 213 rue Saint-Honoré. Playing home to various high-end fashion, beauty and lifestyle brands. This store is full of gorgeous things to look at. A.P.C outlet store - 20 Rue André del Sarte. Tucked away on a street near the Sacre Coeur, this is a little fashion secret full of discounted pieces from the French label. Head there for a bargain. Le Bon Marché - 24 Rue de Sèvres. 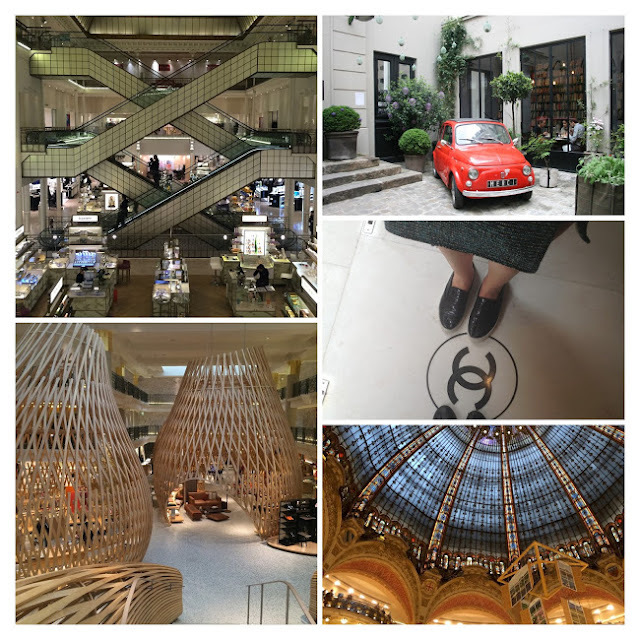 As much as Selfridges will always have my heart, Le Bon Marche comes a close second. Filled with pretty things from beauty to fashion, this department store is definitely worth a visit. Chanel - 31 Rue Cambon. The mothership. Need I say more? Les 3 Marches Catherine B - 1 Rue Guisarde. A gorgeous store full of vintage Chanel and Hermes. Head there if you want to get something special, or want to be up close to some truly beautiful pieces. 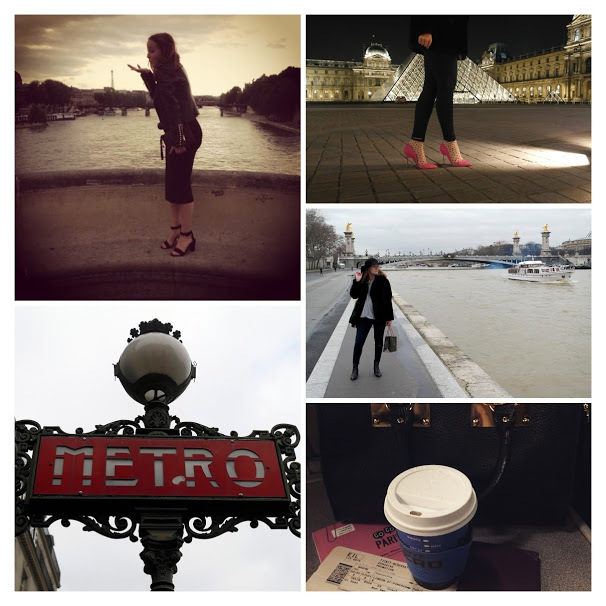 One thing I say to people who ask for Paris recommendations is walk. 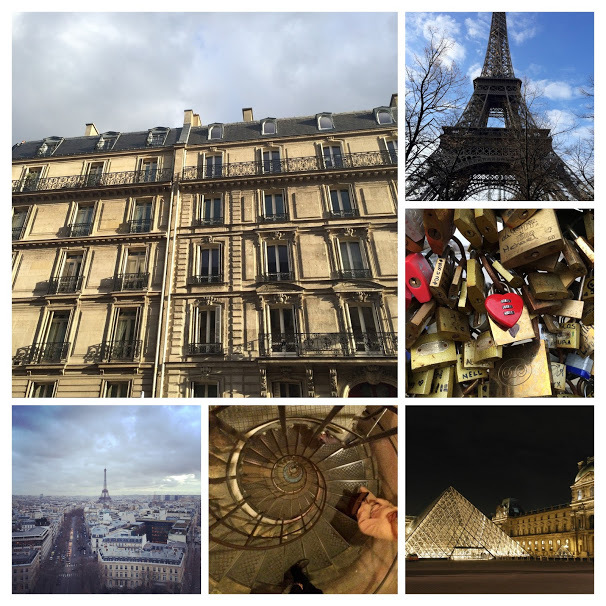 This is the best way to see Paris in my opinion - I've stumbled across so many places doing just that. The city is home to a crazy amount of beautiful buildings and landmarks and to be fair, the Metro can be somewhat....smelly! So, pack a pair of comfy shoes - leave the heels for the evening, and get exploring. Arc du Triomphe - Go up to the top. Although, it's not for the faint-hearted - 248 steep steps up and down. The views are totally worth it though...I almost prefer it to going up to the top of the Eiffel Tower! Louvre - You could spend a good few days in here admiring some of the most well known art pieces in the world. Eiffel Tower - Whenever I go to Paris, I have to go and say hello to this mesmerising structure. I've been up it a couple of times but, just seeing it up close, and standing underneath it gives me butterflies! Parc des Buttes Chaumont - One of the biggest parks in Paris, if you have some free time and you just want to chill out, head here. Saint Germain - This area of Paris is one of my favourites. Great for people watching and, full of amazing stores. Check out the Hermes store on Rue de Sèvres. Housed in an old swimming pool, it's one of my favourite stores in the world. That's it for now. I'm sure they'll be more additions after my next visit. Ok, so I haven't done a beauty haul on here in a very long time and seeing that I went a little cray cray in Boots and various other beauty stores/websites, I thought it would be bad of me not to show you what I got. My skin is drier than the Sahara dessert at the moment. After using Bioderma Micelle Solution for the last couple of years, I thought I'd try their Hydrabio Moisturising Mask mask and, so far so good. Full review coming up shortly. I also grabbed a travel-size Bioderma Sensibio H2O Micelle Solution as these are so handy for travelling. On a recent visit to Bobbi Brown for a makeup lesson with one of their team, I picked up one of their new face masks, Skin Nourish plus, the mini mask trio which contains travel-size versions of all three masks from the collection. I haven't tried them yet but I've already heard good things across the blogosphere. I will of course review them on here soon. Next up was another purchase from Escentuals. I've been after the Living Proof Perfect Hair Day range for ages now. It hasn't been available to buy over here as far as I'm aware...until now! Obviously I had to pick up the Shampoo and Conditioner to see what all the fuss is about. I'm currently using their Full Shampoo and Conditioner which I picked up at Space NK a couple of months ago, and I'm lovin' that so I have high hopes for these two. My nail polish brand of choice is Essie. For some reason they seem to be the only 'drug store' brand that last the longest on my nails. My local boots don't have a huge selection, so when I visited Westfield recently, I swung by the Essie counter in Boots and I was spoilt for choice. I'm not sure how I only came away with four new shades as there were so many to choose from. I picked up two shades from the Essie Retro Revival 2016 collection. 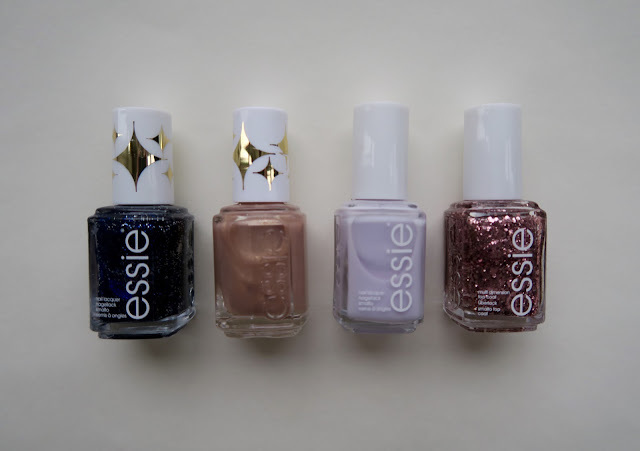 Essie are celebrating their anniversary by digging up some old best sellers from their archive. I grabbed Sequin sash - a sheer glittery bronze nail polish with silver flecks, and Starry Starry Night - a navy blue with silver glitter running through it. Another purchase from Bobbi Brown, was their sheer powder brush. This was used during my makeup lesson and I fell in love with it! I've been looking for a new brush to apply blush with and although it's designed for powder, I find it works with blusher as well. The Bobbi Brown brushes are really good and, although they're expensive they really do a good job. Whilst in Boots, I also picked up was the LOréal Infallible Fixing Mist. I've heard a few things about this and thought I'd give it a whirl. My face seems to eat up my makeup by late afternoon, so maybe this will sort things out. Last but not least, I re-purchased this mascara. Believe me when I say it is so much better than my YSL Babydoll mascara that I used to use every day. 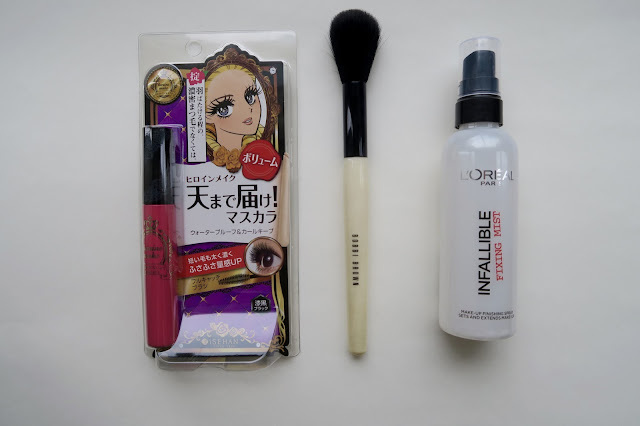 The packaging may look a little cheap and tacky, but the formula and brush are brilliant, and my lashes curl and stay that way all day. 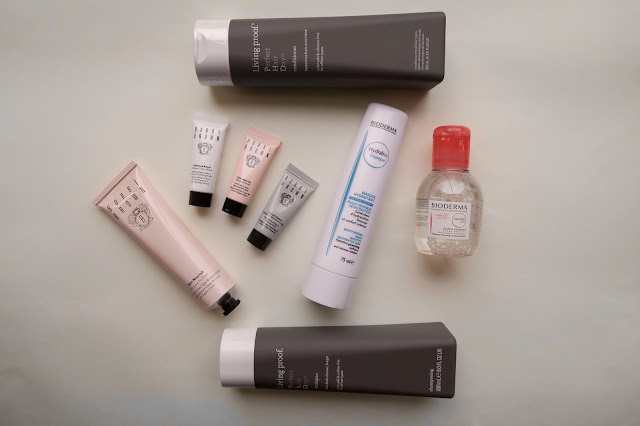 Have you tried any of these products, or can you recommend any I should try? If you're based in the US of A please do send me some recommendations on drug store products I should pick up when I'm in NYC. Milan Fashion Week boasts some huge, established designers, from the likes of Prada, Gucci, Pucci and Marni. 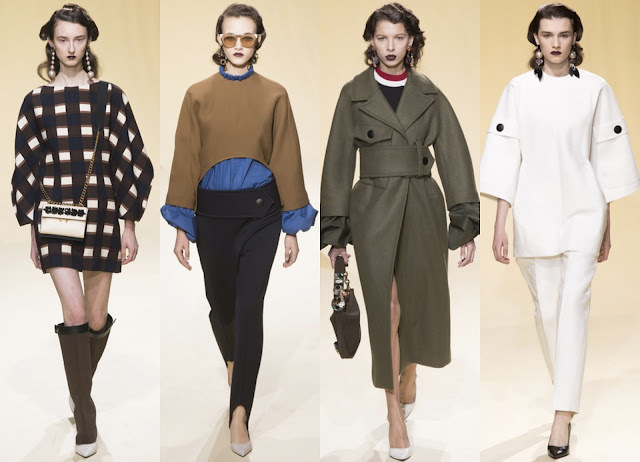 These collections are on almost every fashion editors lists of ones to sit in the front row at. Balloon-sleeved blouses, shoulder-molding cutaway capes, and stretchy ski pants - a groomed, classy vision of modern romantic elegance. The coat below is my favourite from MFW, and I hope high-street brands *coughs* Cos *coughs* are heavily influenced by this collection. Monochrome, minimal, pure, precise - vintage inspired pieces with a chic look. 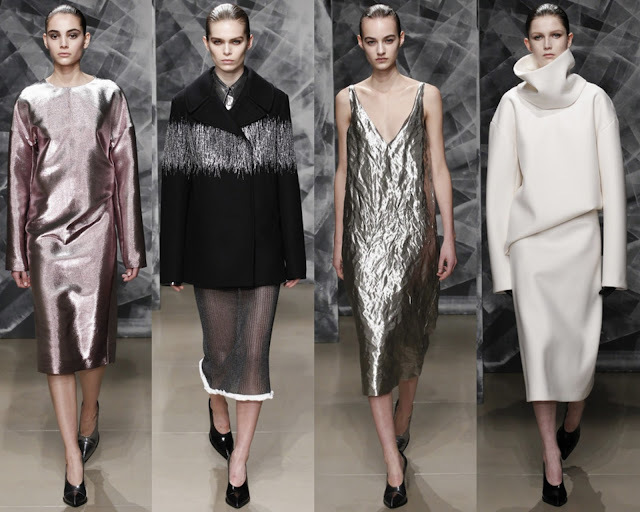 I love the oversized neck on the white jumper, and the metallic thread on the black coat. The theme of the collection was 1920s Bauhaus and the women painters, textile designers, moviemakers, and collage artists who were at the center of modernism in Germany, Russia, and Ukraine between the two world wars. Think narrow overcoats, pinstripe suits and a hint of metallic thrown in - a little glamour to some very chic pieces. Knits led the way here, with button detailing, belts, and pleated peplums. 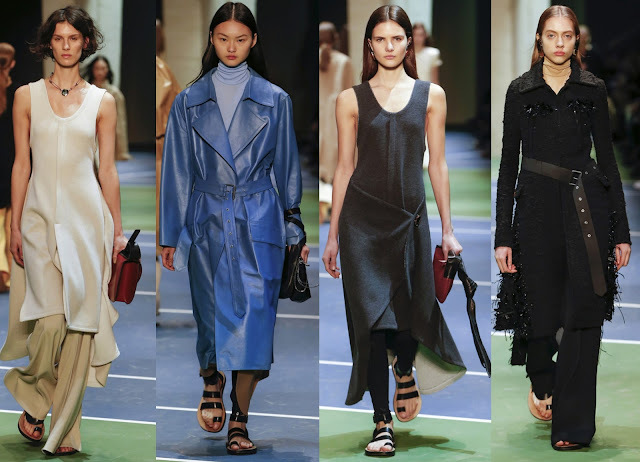 Even the knit slip dresses were simpler and more desirable. 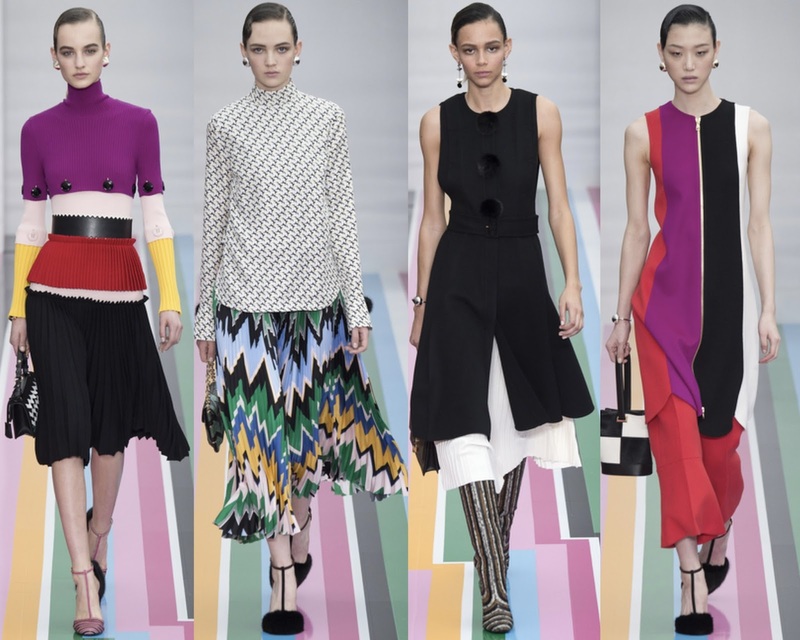 The pops of colour across the collection was gorgeous, and I've got to do a shout out for their catwalk floor - not something I'd usually do, but when it's that lovely it would be rude not to. 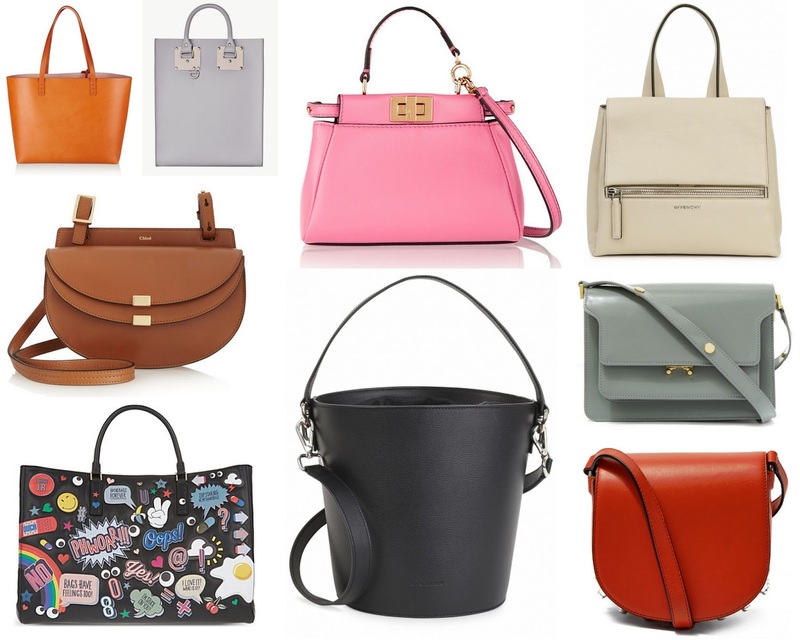 This weeks edit is all about the designer bag. Personally, I think the 'It bag' days are gone - I'm more about style over statement. Of course, there's still the classics like Chanel, Louis Vuitton and Dior to lust over but, there are so many designers out there with pieces that are a great investment. 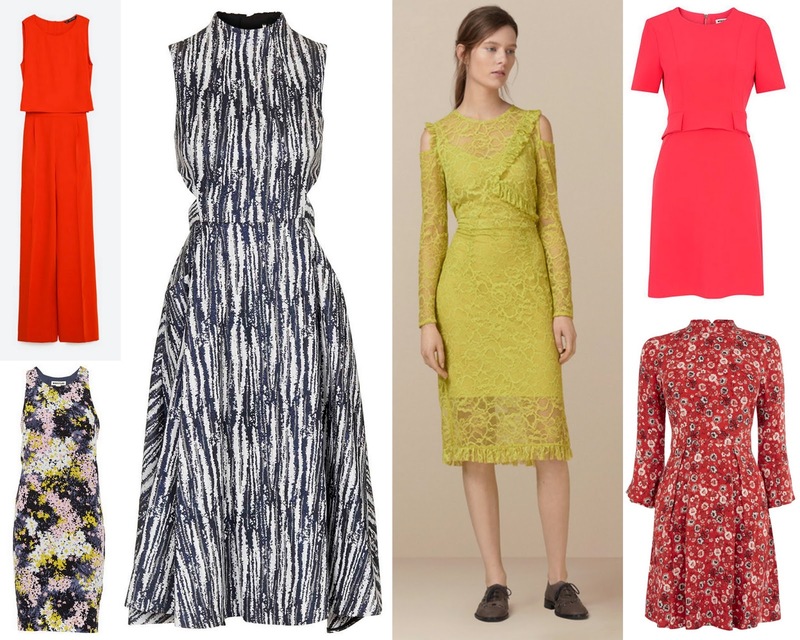 Yes, they may be a little out of most of our price ranges but that doesn't mean one can dream? Above are the ones I would love to have on my arm. If money was no object the Anya Hindmarch and Fendi would be in my wardrobe as fast as you could say oh, my Gucci.